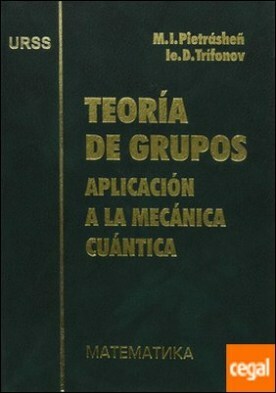 TEORIA DE GRUPOS. APLICACION A LA MECANICA CUANTICA por PIETRASHEN, M.I./TRIFONOV, Ie. D.
Autor: PIETRASHEN, M.I./TRIFONOV, Ie. D.